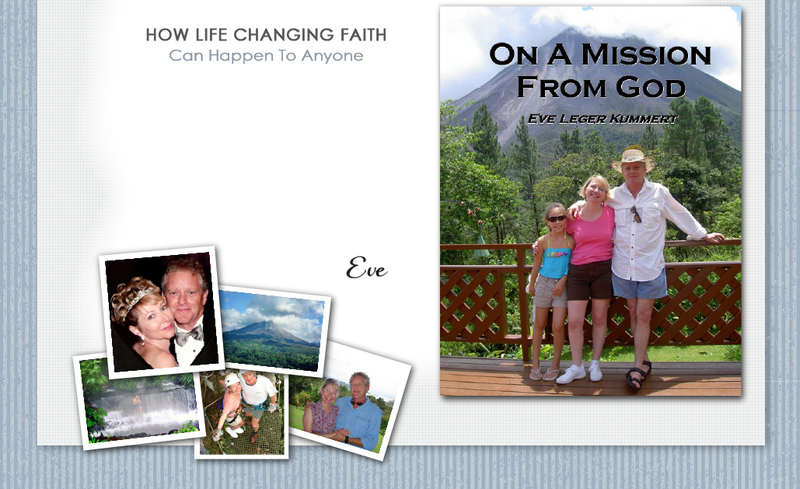 This is a story about love, devotion, divine intervention, commitment, untimely death, tragedy, faith and survival. The story is set in two most unlikely places ... suburbia in North Carolina and the rain forest of Lake Arenal in Costa Rica (paradise). It centers around a relatively normal couple who accepted a "Mission from God", which one survived and the other did not. This is a true story, and it is my story. © 2013-2014, Eve Leger Kummert. All rights reserved. Website by Robin Castaldi.